My children clearly do not suffer from this! We’ve been doing a lot of work in the yard, and the places where the kids can freely dig are becoming fewer and farther between. We’ll keep a section for them for as long as they want a place to dig. 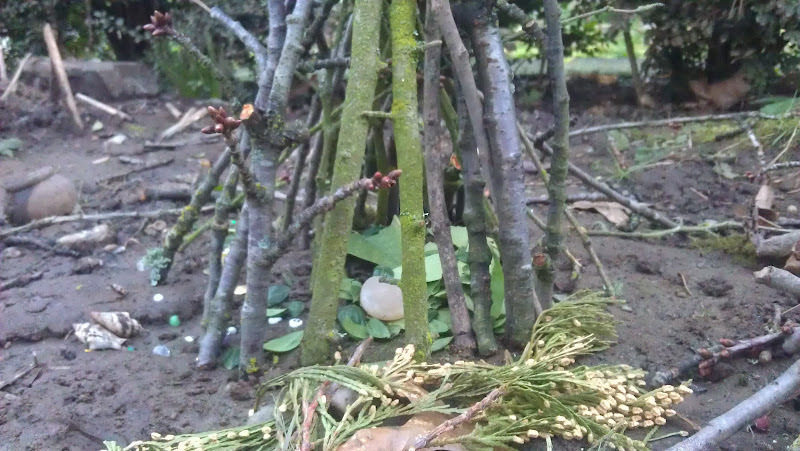 I have no problem with dirty kids, and I love that they are eager to play and help plant things and stay engaged with the garden. 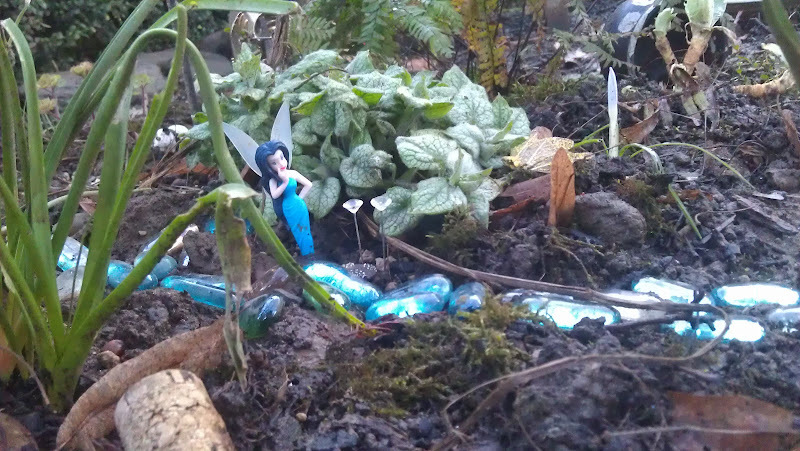 The Fairy Garden helps, of course! 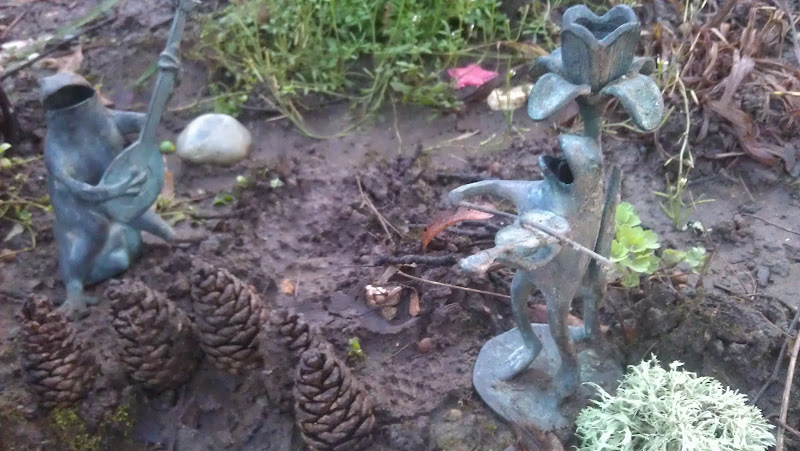 Click on “Fairy Garden” in the tag cloud to the right for more posts and pictures about that project. 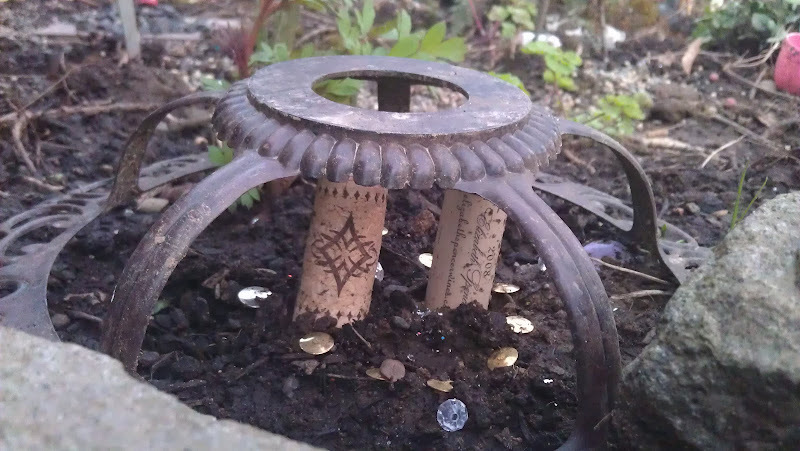 The kids thought the fairies would appreciate some bling in the garden, so out came the glitter. 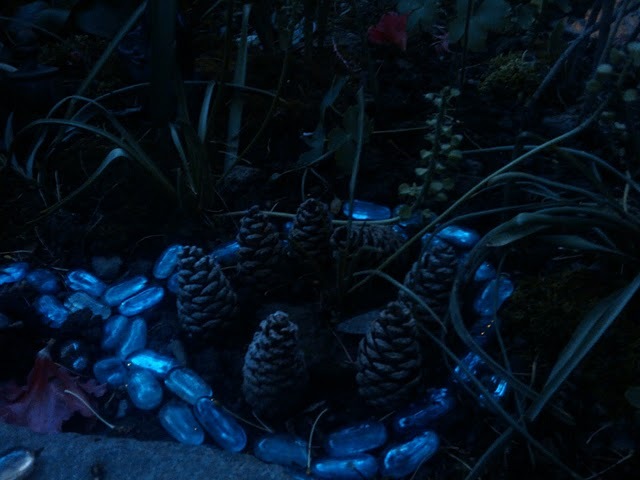 We just recently redecorated with a bag of old jewelry I found in the basement. I think I picked it up at a garage sale or something, because I certainly never wore any of this! 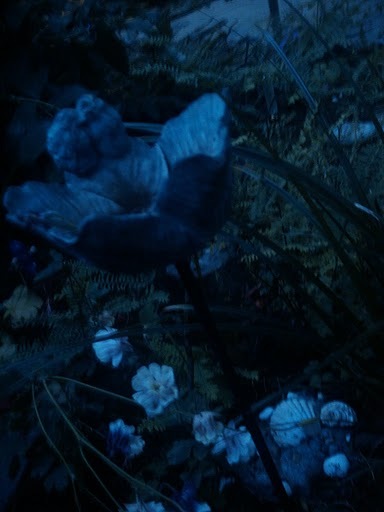 The fairies seem to like it well enough.